I received a comment on one of my posts a few days ago that I can’t stop thinking about, and it made me want to address a topic that I’ve danced around a few times but have never gone into concretely. What do you do when, even though you know that you are at a healthy weight, you can’t stop the voices from telling you otherwise? How do you take control of your own mind again? I wish there were an easy answer to this. The most insidious element of any eating disorder is that it takes place in your own head. One of the biggest misconceptions about EDs is that they’re about food: they’re not. They manifest themselves in our relationships with food, but they’re not caused by the piece of pizza sitting on the plate in front of you. They originate in our heads, and once they take root they’re incredibly difficult to get rid of. How many of you have heard that whispering voice in your head, when you least expect it? You look horrible today. Take off those jeans, they make you look like a whale. You can never be as skinny as she is, because you’re fat and you can’t stop eating. Don’t you dare eat that. You don’t deserve it. You’re a failure. Everything you try is a failure. Just stay in the house and don’t talk to anyone, they don’t like you anyway. The most infuriating part about these voices? It’s almost like we’re all expected to have them. 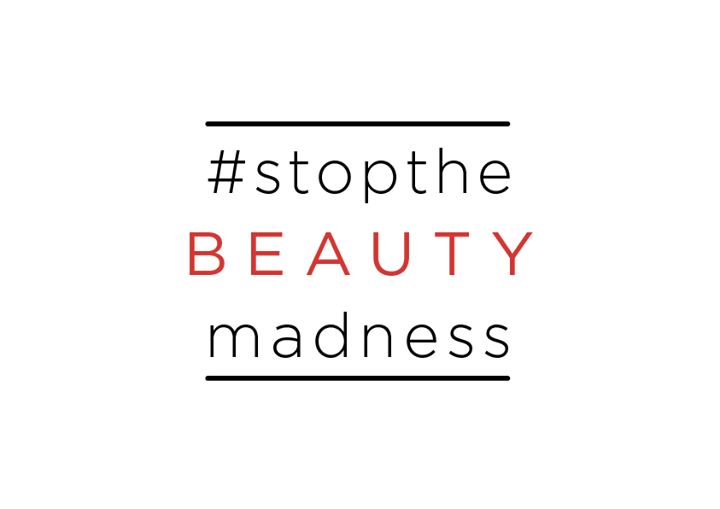 According to a semi-recent study by Glamour magazine (let’s not talk about how Glamour may or may not be perpetuating the problem and focus on the results…), a terrifying 97% of women have at least one negative thought about their body every day, with the average number of body-negative thoughts coming in at 13. That’s pretty much one negative thought for every waking hour. Oh, it’s 3:00. Time to hate my body again. What are these negative thoughts doing for us? Only making it more difficult to live our lives to our full potential. If you’ve ever tried to drive with a nervous passenger, you know that constant judgment and critique makes you perform worse than you ordinarily would. And if you get stressed and inefficient in this basic situation, think about how much worse it becomes when you never get a break. Like I said, I wish there were an easy answer to reclaiming your inner thought-space. But even a year into active recovery, there are still more moments than I’d like to admit when the voices pop up again. I’m not that far off the average, let’s put it that way. There is a difference, though, between hearing and listening. Did you believe for a second that you were actually the one causing yourself pain? Of course not. It was the external force of the antagonist hurting you, not you. Negative self-talk is the same way. You are not the voices in your head. Can you think of moments when you distinctly heard your own voice? Maybe it was a reaction to a book or a TV show that you love. Maybe it was how you felt in a conversation with a loved one. Maybe it’s the gentle drift of consciousness you slip into while laying in the sun doing absolutely nothing. Get to know this voice. Recognize it when you hear it. And then recognize when you don’t. Some people find it helpful to name their negative voices to see them as detached from themselves. Jenni Schaefer uses this strategy in her book Life Without Ed, to great success. It’s not you that’s insulting you, it’s the voice of your eating disorder, which Schaefer called “Ed” for the obvious reason. For most people, it’s easier to reject being insulted by someone else than to challenge your own cognitions. Personally, I never found naming the voice helpful, though it does work for many. However, I do have an image of a person in my mind to whom I associate my negative thought-track. I know exactly what my eating disorder would look like, if it were a person. This might sound weird, and heaven forbid I ever meet someone who looks like this, but it’s helpful in creating distance between self-care and self-destruction. You are not your eating disorder. Step one is learning to tell the difference. Remember when I said earlier that eating disorders are not about food, but food is a manifestation of a different psychological problem? Negative self-thought, likewise, is not caused by there being something actually wrong with your body. It’s a manifestation of emotions that takes itself out on your body. And that’s not fair. Notice what you’re doing when your negative voices come into play. What else is going on in your life? Are you taking on a lot of new projects at work? Is there an illness or another stressful event going on with your friends or family? Are you nervous about work, family, responsibility, being judged by others? Are you sleeping enough? Are you physically feeling ill? I used to reject this advice out of hand, because I thought it made me sound hysterical and irrational. Obviously it’s about my body, I would tell myself, I’m not making this up! I feel fat and out of control and horrible because I am fat and out of control and horrible. But with a little distance and mindfulness, I’m starting to notice patterns. When is my negative self-talk the worst? During big transitional moments. Travel. Beginning of the university semester. Moving. Family illness. New responsibilities. Any time I think I’m not going to be able to measure up. And so I take that stress out in the easiest way I know how: body hatred. That’s not fair. And it’s impossible to deal with an issue if you’re avoiding it. Not that the solution is easy in any case, but it helps to be working on the right problem. This can mean many things in recovery. Learning to say no to ED behaviors. Learning to say no to others who want to take advantage of you, and to take control of your own choices. But in this case, we need to learn to say no to the voices in our head. Sometimes out loud, if necessary. Often, when we get caught up in mental negativity, it’s almost impossible to find the off switch. The spiral of thoughts goes on and on, getting darker and darker, until soon you feel so terrible about yourself that you don’t even want to get out of bed. One thought builds on another, until they’ve formed an unbreakable chain of horrible things. 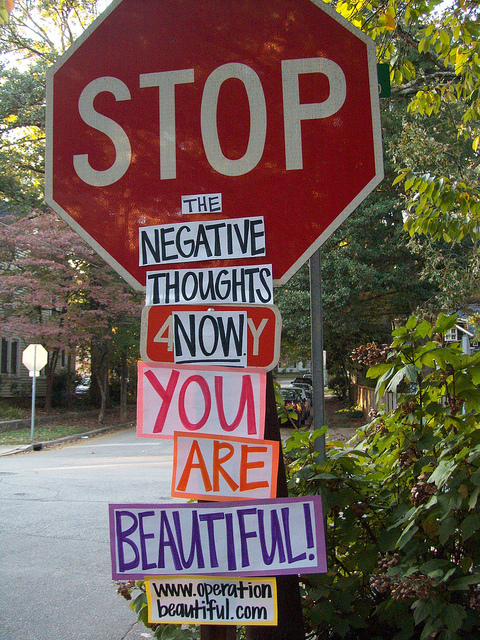 Negative thoughts are powerful, but they can be stopped. No, I am not going to listen to you today. No, you’re wrong, there is nothing wrong with me. No, I do deserve to eat, because you have to eat to be alive. It’s not always appropriate to say these things out loud (it might look weird at a dinner party, for instance), but it’s helpful to hear your own voice if at all possible. Your voice is the real one that you can hear with your ears. It exists. The voices in your head? Not real. Why would you listen to something that doesn’t really exist? If you can’t vocally throw a wrench in the works of negative self-talk, try movement. When I’m eating out (still difficult sometimes) and get stuck in self-doubt, I like to shake my head quickly, just to myself. It can look like it’s part of a conversation, or just a little shiver, but I know what it means. It means no, I’m not going to listen to what I’m hearing. I don’t need to believe it. No. You’re wrong. You are a human being with your own beliefs, opinions, and knowledge about the world. You are allowed to disagree with people who are saying things you know to be wrong. And that includes yourself. Progress is slow, and it’s difficult, and often it’s two steps forward and one step back. But hopefully someday, the only voices any of us will be hearing will be our own. This post was originally published on Adios Barbie and can be viewed in its original context here. Pause for a second to let that sink in: some of the new contestants on The Biggest Loser are13 years old. Not to mention, of course, the inundation of longitudinal health studies that prove to us that weight cycling, or repeated weight loss and subsequent weight gain, has consequences of its own. Sixty-five percent of people who rapidly lose large amounts of weight regain it within three years,which is hardly surprising. The weight loss program proposed by The Biggest Loser isn’t sustainable for people without eight hours a day to devote to exercise. Weight cycling, alternately known as yo-yo dieting, has been linked to a weakened immune system,high blood pressure, heart disease, and a slowed metabolism. This last side effect may actually cause faster weight gain, since the body is accustomed to operating in survival mode and will respond to changes in intake more dramatically. All right, folks, it’s final exam time, which means that I’m spending tons of time hunkered down in the library dressed like I just rolled out of bed, drinking far too many cups of coffee and eating most of my feelings. Which, you know, is the absolute best way to study. Beyond pouring through notes on the Great Vowel Shift in Early Modern English linguistics and trying to remember the difference between Antonio, Alonso, Angelo, and Atolycus (stop, Shakespeare, stop), I’ve been doing a bit of thinking on body comparison. I know, I know, this won’t help me on my blue book exam in four days’ time, but a person’s gotta stall somehow, right? Think of the people you most admire in the world. What do you admire most about them? Do you admire these people for their physical attributes? Do you think the people that admire you are talking about your body? Which is a great set-up, really. I had no problem coming up with a list of the women I most admire in the world. I have a list ready-made in my head, actually, and you can find many of them in my handy-dandy blogroll over there to the right. The person who asked me this question yesterday was probably a little taken aback that in addition to my sister, my roommate, and my best friend, I popped Melissa Fabello, Margaret Cho, and Arielle Lee Bair on that list. But hey, girl’s gonna admire who she’s gonna admire. Of course, I do not admire these women because of how their body looks. I admire them because of their determination, their work ethic, their dedication to social justice, their ability to communicate well and make me laugh, all of those things that make a person who they are. But that doesn’t mean I don’t notice their bodies. I want to stop doing this. I don’t want to compare my weight or my body type to friends, family, co-workers, or people I’ve never met. I catch myself when I’m doing it, and I try to snap myself out of it. But the sad and true fact is, it happens. I absolutely do believe that people I am friends with are talking about my body. And while my rational brain tells me that this is good, that people don’t look at me with shifty eyes and wonder what’s going on anymore, this also tells me that they are looking and talking about my body amongst themselves. Of course, this isn’t an ideal world. I know that comparison, whether between other people and myself or between the way I used to look and the way I do now, is a fact of life. I just don’t want to turn into a before-and-after picture, and I don’t want to reduce the women I admire into “In Thirty Days You Can Look Like This!” magazine cover advertisements. We are so much more than that. 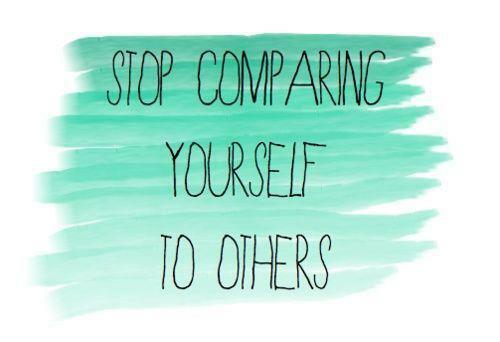 So the next time you find yourself comparing the way you look to the way you used to, or the way someone sitting next to you does, try to snap yourself out of it. Don’t compliment friends and family on their weight loss, or weight gain for that matter. Talk to them about what they’re doing, what they’re thinking about, what they like, what excites them. Because I don’t think anyone is really excited on a deep emotional level about their daily carbohydrate intake. I’ll keep working on ending this comparison game, even if for now the only solution that I’ve come up with is mental blinders. But hopefully if I train myself to see the world differently, soon it will become second nature. In other news, there is a character named Antonio in Much Ado about Nothing, The Tempest, Twelfth Night, The Two Gentlemen of Verona, and The Merchant of Venice. Why? Because Shakespeare hates me, apparently. For me, and for all other Americans, this has been a pretty rough week. Start with the bombing of the Boston Marathon on Monday afternoon, speed through a wave of xenophobic finger-pointing and misinformation about potential suspects, add a catastrophic explosion killing at least fourteen in West, Texas, and then culminate in Friday’s shootout-slash-car-chase-slash-manhunt-slash-media-circus around the apprehension of the bombing suspect, and it’s no wonder that suddenly I’m lost in a glass case of confusing emotions right now. And as if this all wasn’t enough, exams and final papers are coming up for me right now, my weight still refuses to stabilize, and I have an appointment with a nutritionist in four days. If those two paragraphs sounded like problems that really shouldn’t be mentioned in the same blog post, then welcome to the conflicted world of what I like to call Problem Shaming. Something bad happens to you. 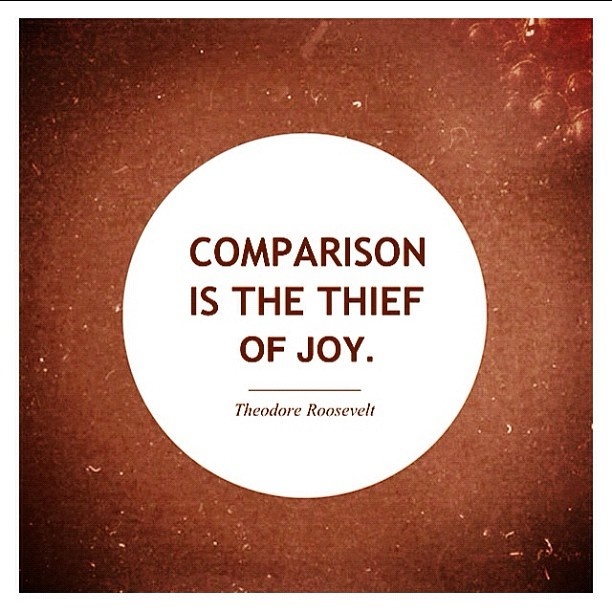 Your problem is thrust into comparison with another problem on a more widespread scale. You feel selfish, petty, and terrible about yourself. Yes, friends, Problem Shaming is essentially a glorified way of describing feeling bad about yourself for feeling bad about yourself. If there’s a less productive cycle in the world, I’ve yet to find it. In my case, I’ve had nothing but horrific experiences with nutritionists in the past. I wasn’t particularly keen on going back for another go-round in the Nutritionist Torment Spin Cycle, but both my parents and my GP were behind me on this one, she came highly recommended, and she was very kind to me when I expressed my concerns over email. So although I’m still asking myself at least once a day what on Earth I’ve gotten myself into, there’s still a glimmer of hope there. And then this week happened, and I’m left feeling scared, threatened, disgusted, unnerved, and, above all, ridiculous. What am I doing wasting valuable energy worrying about my weight when people across the country are losing their lives or gravely injured? How selfish can I possibly be? Don’t you realize that no one cares about your petty self-centered little problems? Why don’t you just get over yourself and accept that no one gives a damn how fat you’ve gotten, because there are more important things in the world than your feelings? I put these thoughts in italics because this isn’t me thinking. This is my eating disorder talking. This is the same voice that tells me that I don’t deserve to eat, and I don’t deserve to relax and take a day off of exercise. This is the same voice that reminds me constantly that I am worthless and that no one is interested in my problems. Whether in this specific instance or in any issues that arise in your daily lives, we are entitled to our feelings. We are allowed to feel sad, scared, and frustrated when things beyond our control happen in our daily lives, regardless of how small or insignificant they may seem to others. In fact, it would be a more serious problem if we refused to register any emotions about our lives. What kind of existence lives on emotional level zero every second of every day? Our ability to feel makes us human, whether those emotions are positive or negative. Problem Shaming crops up an unsettling amount of the time around eating disorders. Anorexia and bulimia are written off as “First World Problems,” a pseudo-disease given to rich young suburban white girls with nothing better to do than look at themselves in the mirror and complain about “oh my God I’m soooo fat right now.” A legitimate mental illness is treated as a personality flaw and a selfish problem constructed for attention, and those dealing with this problem aren’t able to get the help they need. But eating disorders are serious problems, just as any other problem going on in the world right now, on any level, is serious. Anorexia nervosa has a 20% fatality rate, the highest of any mental illness. I dare you to tell me that’s not serious. I don’t want to live on this planet anymore. 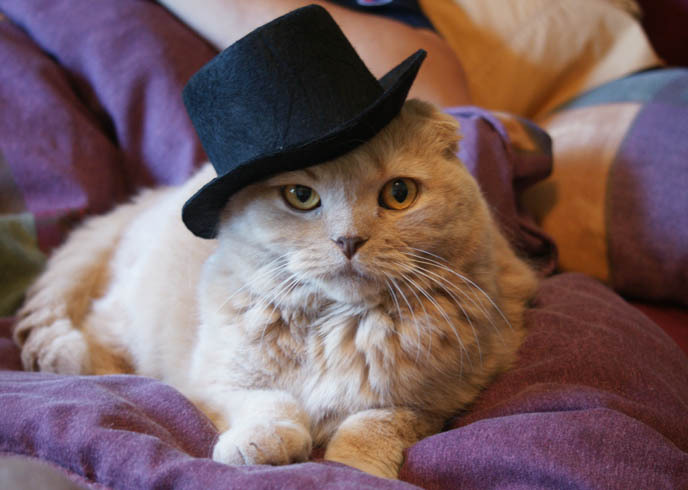 I just want to escape to a magical world without any other people, only cats wearing amusing hats. And while I think this would give me a lot less emotional torment in the long run, we can’t hide from our emotions or our reactions, either to things in the outside world or in our own personal lives. And neither set of emotions is more valuable than the other. You are worth taking care of, and your problems are worth thinking about. Don’t be afraid to ask for help, and don’t ever forget that you matter.